All We Do Is Decks both design and build custom decks for Brisbane residents. We too can design and custom build you a wonderful, attractive yet very functional deck that combines inside and outside living and that will exceed your expectations – and at an affordable price. 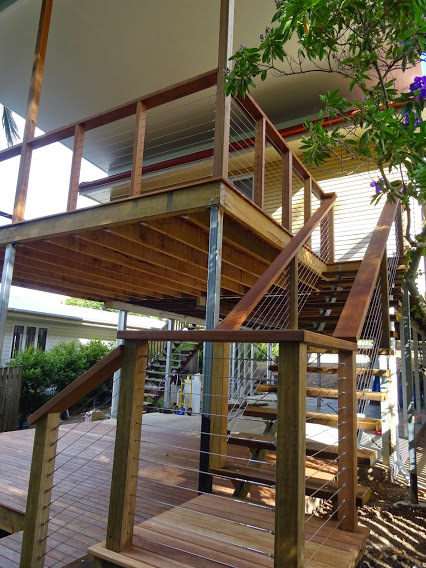 We have custom designed decks (view our gallery) for hundreds of Brisbane residents over the years who have written some wonderful testimonails expressing their pleasure in the new deck that we have built for them. A custom designed deck will provide you with the best deck structure in terms of both attractiveness and functionality. Sometime a square or rectangular deck is just not the ideal shape for your home. We can design a deck for you not matter what restrictions or challenges the site for your deck provides. Often in fact decks that have a different shape or are several different levels are actually more attractive and versatile than the traditional square or rectangular shape. As said we have designed many, many different decks including those that are best suited with the traditional rectangular shape. We have designed two storey decks, timber and steel decks, decks with covered roofs and swimming pool decks etc. Due to our extensive deck design experience you will find that we will be able to accommodate your needs and build you the best deck possible for a very competitive rate. Please have a look at our Services Page to gain an appreciation of the variety of decking projects and deck designs that we have done in the past and can do for you too. We are skilled carpenters with a great deal of experience in constructing all the different types of decks and decks of varying shapes and sizes. We can build you a custom deck of timber (softwoods and hardwoods), steel and/or composite decking materials. We know the limitations and advantages of each of the different decking materials and will ensure that you deck is constructed accordingly. With composite decking for example we would use timber or steel supports and would allow for the different expansion and contraction of the different materials. 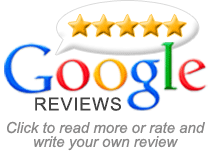 We will build you a lovely custom deck that is also durable and functional. We will also build it efficiently and carefully. At the end of the project we will also clear your home and garden from any debris. Your particular ideas and requirements. The area you have available and how best to utilise this area. The aspect of your deck. The best materials for your deck. The functionality of your deck. How your deck can best complement you home, garden and outlook. The privacy required for your deck. Additional features that you may desire such as deck lighting, in built deck seating etc. All We Do Is Decks – We specialise in decks, thus we are highly experienced and skilled in both designing and constructing custom decks. Call us and we will make an appointment to come and see you, inspect the deck site and discuss with you your deck requirements and your budget. Following this meeting we can then advise you on the most appropriate deck design, decking materials and the likely cost and timing to construct a custom deck for you. As part of our service we will draw up all the plans that are required and undertake all the necessary paperwork. We will submit the designs and completed requirements to Brisbane City Council for you. Once we have received approval for your deck we will schedule with you a time that most suits you to commence with building your custom designed deck.